Above: Timers and other digital controls allow users to customize nearly every aspect of the shower experience. Image courtesy Kohler. From smart appliances that remember your cooking preferences to digital assistants that know when to heat up your shower or order your groceries — technology is making homes more functional and efficient every day. The term “smart home” is a home that incorporates advanced automation systems, providing homeowners with sophisticated monitoring and control over the building’s functions. With smart home technology, homeowners can increase their comfort, security and convenience at all times — regardless of whether anyone is actually home. Smart home technology is the fastest growing segment of the design/build market as homeowners become more and more interested in how their homes can work for them. The technology systems that were once incredibly expensive and required major renovations are now more affordable and can be installed with minimum impact thanks to WiFi. 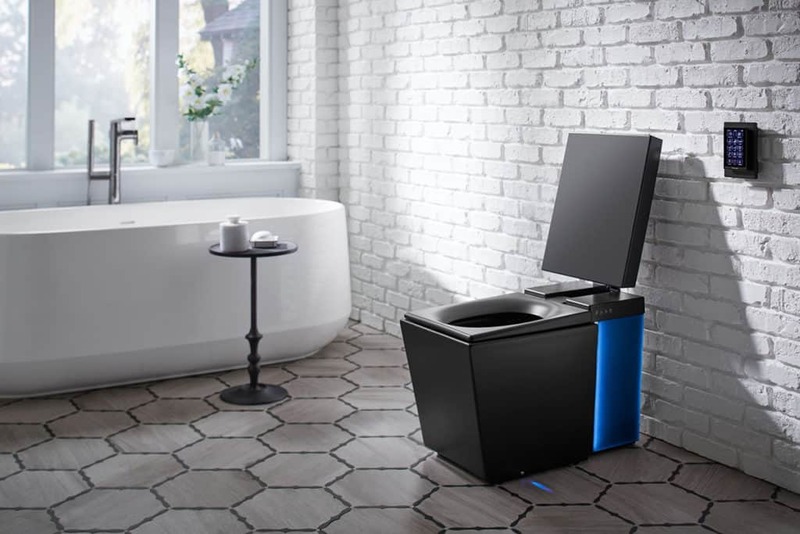 Above: Comfort, convenience and a touch of futuristic style come with this smart toilet from Kohler. 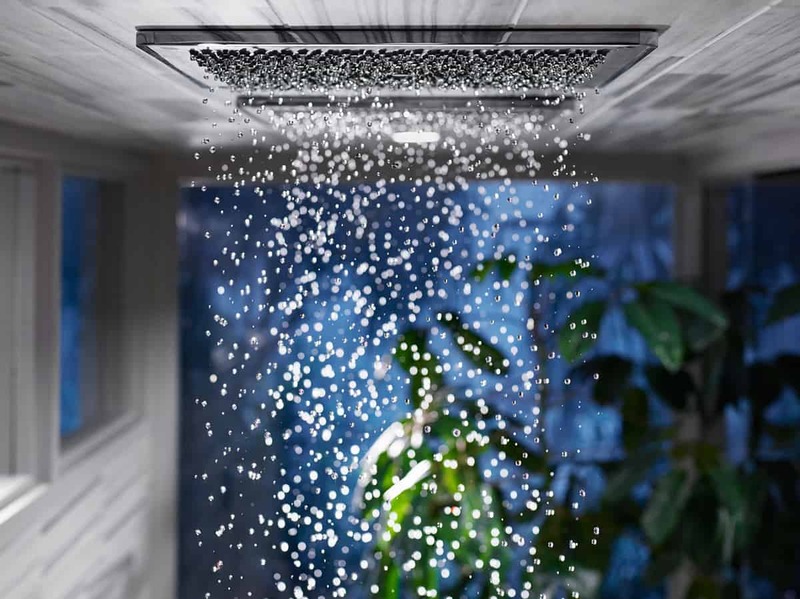 Image courtesy Kohler. Above: Modern kitchen featuring the latest smart appliances from Samsung. Image courtesy Samsung. 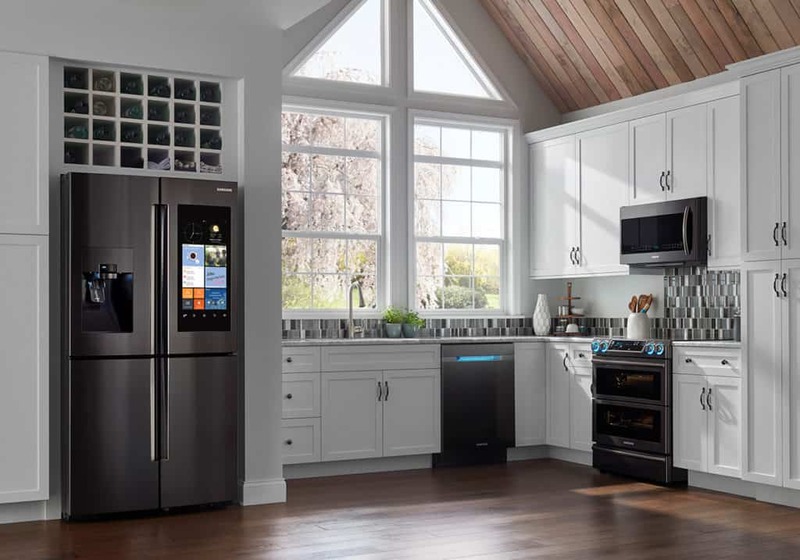 Digital Assistants: including conveniences specific to kitchens and baths that can maintain grocery lists, convert units of measure, look up recipes, run multiple timers, control temperature and ventilation, preheat ovens, set digital controls on multiple settings for showerheads, and more. One company leading the way in smart technology is Quadrant Homes. The company’s line of HomeSmart™ features are designed to simplify homeowners’ lives with doorbells that allow you to see and speak with visitors at your door from anywhere; garage doors you can open from your smartphone; front door hardware that allows you to lock doors with a smartphone; thermostats that learn your home’s patterns and programs to help you save energy; and lights that can be turned on from anywhere with your smartphone. The possibilities are becoming almost endless. Ready to upgrade your home so that it works for, and not against you? Contact our Design/Build Remodeling Team to equip your home with the latest technology from the 21st century.